Congrats to the whole team! Have greatly benefited from some of your research findings to date. They’ve helped me make the case for OER in numerous contexts. Dropping the R opens up the horizon that OER illuminates when the “openness” engine is in full gear. Looking forward to learning more about your new activities and research going forward. Thanks and see you at OpenEd in Vancouver. July marked the end of the initial phase of the OER Research Hub. It’s been a great three years, and Beck has pulled out some of the highlights. But what next, you are all asking! Well, we’re delighted to announce that we have received further funding form the Hewlett Foundation. The aim of the last grant was twofold: to try and develop an evidence base for many of the beliefs that people held about OER, and to raise the profile of quality research in the OER field. The new project seeks to continue these broad aims, by establishing the hub on an ongoing basis. The question of whether a college degree–especially a four-year college degree–is still “worth it” is being asked by many graduating students as they discover sobering truths about the cost of their education. Here are some facts to consider. The 2013 report from the Project on Student Debt found that average debt for college seniors graduating in 2013 was $28,400, the highest on record, and up 2 percent from the 2012 figure of $27,850. In recent years, that average debt figure has grown steadily and has generally outpaced inflation, even as earnings for bachelor’s-degree holders have stagnated. The unemployment rate of young four-year college graduates today is nearly 7.8 percent, about the same as the population at large. Of even greater concern are estimates that suggest that the percentage of young college graduates working in jobs that don’t really require a college education might be as high as 30 percent. 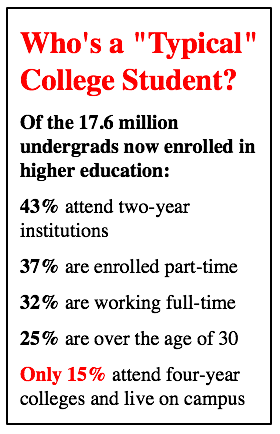 And these numbers mask the fact that nearly half of those who start out in a four-year college do not finish. The point about statistics like these is that in today’s economy what you study matters more than how many years you study. Recent data from Florida tell us that 2009 graduates with a technical degree from Florida’s community colleges are outearning the average graduate from the state’s four-year institutions by over $10,000. In recent years it has become increasingly clear that our current (and future) economy’s jobs are requiring a higher level of skills and formal credentials — particularly in high growth industry sectors, such as healthcare and STEM fields. Many of today’s employers report difficulties in finding talent to meet their skill needs, and job seekers of all backgrounds are experiencing difficulties obtaining sustainable employment without a formal post-secondary credential. This pressing demand for skilled and credentialed workers — which many employers and workforce developers have termed the infamous “skills gap” — has also contributed to a growing trend in conversations around education and workforce solutions: Career Pathways. As summarized in this 2015 Department of Education-funded study, career pathway programs have been found to share a number of important common characteristics, including: collaboration and partnerships, data sharing, resource coordination, and employer engagement — among others. So what does all this mean for learners? 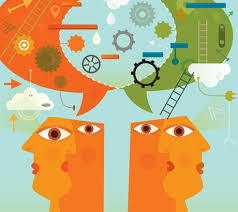 As the post-secondary landscape continues to integrate new transformations and innovations (e.g. online learning, open educational resources, competency-based education), there now exists a broad array of customizable training and education options, which, although empowering, can also be confusing for learners seeking career-oriented credentials. Many adults — whether they are recent high school graduates or second-career baby boomers — often find themselves taking courses or engaging in educational programs that do not ultimately lead to a marketable credential. Career pathway programming can play an important navigational role in linking such diverse, and often non-linear, educational activities with actual opportunities for living-wage employment. For a high-school student who is responsible for contributing to a family income, for example, this focused approach to education and job training could result in years of time and thousands of tuition dollars saved before s/he can start earning sustainable wages. Thus far, the career pathway approach appears to be a promising solution to help address some of our economy’s most pressing workforce concerns. As the model continues to develop and expand through further transformations in higher education and our economic climate, so much remains to be seen about its impacts for our nation’s job-seeking learners, as well as what role new innovations will play in bringing these programs to scale. Stay tuned for Career Pathways, Part 2, about our quest to introduce Open Educational Resources (OER) into career pathway projects. Sarah Pearson and Paul Stacey of Creative Commons have created a case study for the very substance of the book project they are crowdfunding on Kickstarter: they’re raising funds to support the development of a book that they will ultimately give away for free under a CC license. The waiting-to-be-written-book Made With Creative Commons is about the ways creators and businesses make money when sharing their work for free under CC licenses. The dynamic duo’s goal is to empower others to create businesses that build upon open content and open licensing. The book will be written collaboratively with backers of the campaign, and Sarah and Paul will be writing regularly throughout the research and writing process in a Medium publication called Made with Creative Commons. At stake is the idea that if “open” is to go mainstream, we need to develop and support sustainable business models that don’t depend on the generosity of non-profits such as the Hewlett Foundation to promote the open exchange of the knowledge we create. You can get involved as a contributor to the project (for $150 or more), or simply as a fan (with a contribution of any amount). There are 15 days left to support this campaign! Open Assembly has been working with Sarah and Paul on our own open business model, using the Business Model Canvas template they modified for the “open” attribute. The experience so far has been wonderful, providing much clarity and reaffirming our sense of purpose–and even suggesting new possibilities we hadn’t quite considered yet. There is no doubt in our minds that Sarah and Paul are laying an important foundation for defining a new generation of business models that reward “openness” and “sharing.” We who are already on the “open” spectrum of activities and initiatives will benefit greatly from sharing our various experiences. And hopefully countless others will also be inspired by coming to understand the ways in which sharing can indeed be good for business. During National Adjunct Action Week, Feb. 23-27, union-represented adjuncts joined with actions that ranged from creative picketing to teach-ins to in-class explanations of adjunct issues. These were designed to call attention to and illustrate the stigma of being an adjunct and the commitment to changing adjuncts’ status from second-class workers to well-respected, well-trained, well-paid workers with benefits and supportive working conditions. On a much quieter note, and with the expectation that over time adjunct working conditions can and will be improved through various union and institutional initiatives, is there something that we (the ed-tech-for-adjunct-faculty fan club) can do to reduce the thorny prick of chronic daily irritants affecting part-time adjuncts–and their part-time students? Picture a Dunkin’ Donuts parking lot, perhaps at sunrise or dusk. Two drivers sitin two parked cars on opposite sides of the lot. The drivers happen to be part-time instructors at the same community college, where they teach different sections of the same course. It would be great if they knew they were both dealing with the same classroom challenge—but they don’t: They’re so pressed for time, they have to steal an hour in the parking lot to work undisturbed…even though talking to each other to resolve that common problem would help them get a lot more work done a lot more efficiently. 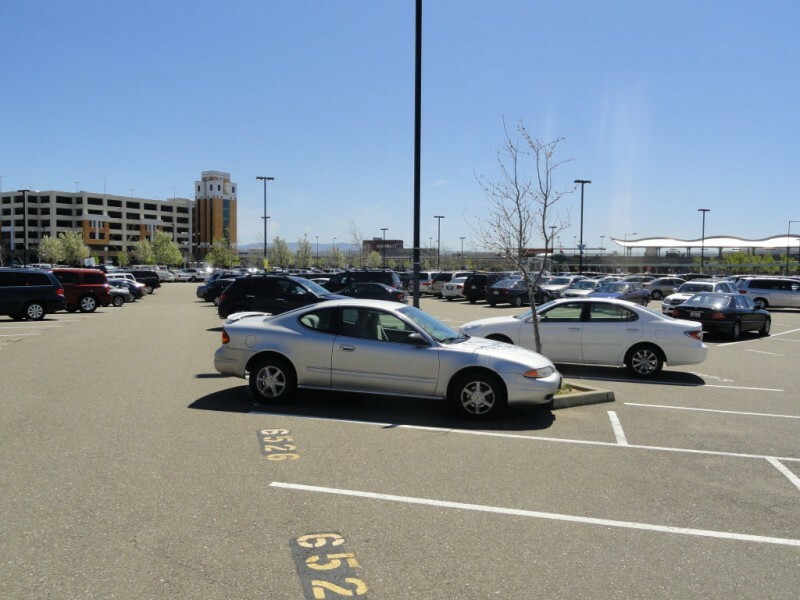 To me, this parking lot illustrates the challenges facing part-time students and part-time educators at community colleges: Commuters who travel back and forth between work, home, and school—in the case of adjuncts, between multiple campuses—and who often work in isolation from their peers. National Adjunct Walkout Day, on Feb. 25, became Adjunct Action Week (Feb. 23-27 ). We heard activists demanding equal pay for equal work, decent benefits, job security, and supportive working conditions, including academic freedom, for contingent instructors. In the meantime, entrepreneurs and researchers have been quietly chipping away at smaller adjunct issues. Theirs isn’t the galvanizing fight over unionizing adjuncts, but rather, the workday struggles of adjuncts. With roughly 70% of community college instructors falling into the adjunct camp (and 70% of community college students attending school part-time), there are means at our disposable to start alleviating these everyday stresses now. Where does the trouble start? On-demand access to teaching resources is one place. Let’s look at technology. To do their jobs, contingent faculty rely primarily on learning management systems (LMS). But this technology often fails to meet instructor (and student) needs. 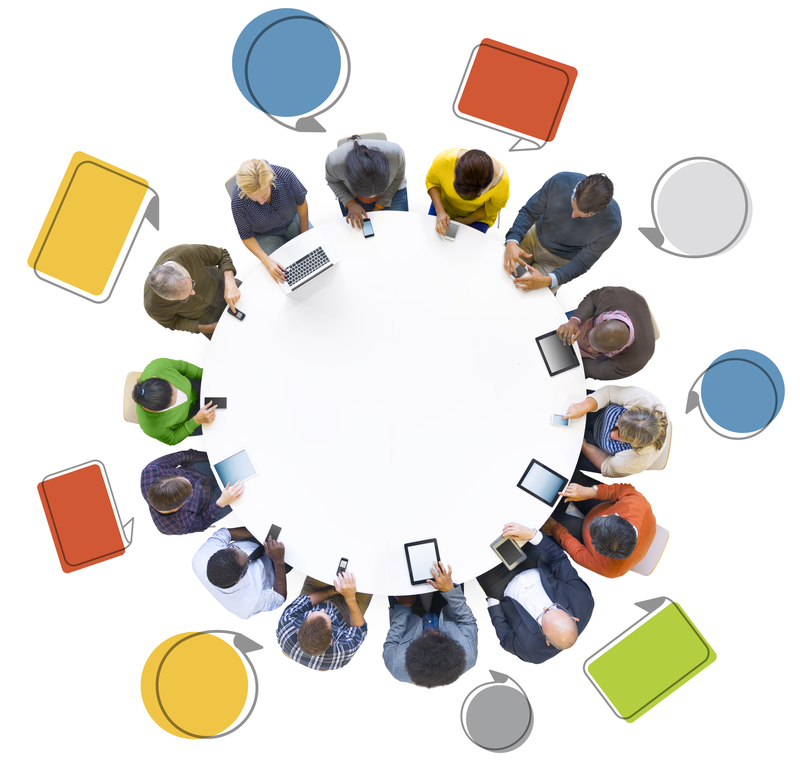 For one thing, resources become confined within the LMS. Think of an adjunct who’s teaching a Political Science 101 course at multiple colleges. Our part-time adjunct (Prof. PT) has digital assets ready to go: syllabus, teaching resources, reference materials. The problem is, each college has its own LMS, which means Prof. PT can’t easily transfer those materials between college ”walled gardens”…so our Prof. PT has to do the same prep work all over again, creating a new collection of materials and “courseware” for each college at which s/he teaches. Adjunct professors are freelance education professionals and need to protect their intellectual property. If they don’t, an institution can use or disseminate Prof. PT’s courseware without his/her consent—simply because it’s contained within the institution’s LMS. Adjuncts also lack the resources that facilitate faculty-student interaction. Chances are that our part-time adjunct doesn’t have an on-campus office, which makes it pretty tough to schedule office hours with students. Yet the most important factor in student success, according to a 2013 report, is interaction with faculty. Limiting these opportunities hurts student performance. In addition, adjuncts have limited access to two kinds of human resources: professional development support and peer communities. These are traditionally campus-based, but adjuncts are not based on campus—they’re on the go and largely on their own when it comes to professional development. The Coalition on the Academic Workforce considers this reality “another indicator that institutions are not investing in maintaining and improving the quality of instruction,” which—you guessed it—hits the neediest college students the hardest. Researchers and startups such as Open Assembly are collaborating to figure out how technology can provide the greatest benefit and user experience for faculty and students. By sheer numbers the majority of these users are adjuncts and the non-traditional “new student majority.” These companies are exploring tech solutions that use existing LMS technology more effectively by extending its capabilities. Campus technology that first and foremost serves its core users, the students and instructors, helps everyone work more efficiently. For adjuncts teaching on multiple campuses or multiple courses within the same subject, user-focused tech reduces duplication of tasks—no more reinventing the curriculum wheel all over again. Serving teachers first also means recognizing their intellectual property and giving them control of the IP that they have created on their own time and their own dime. This can give adjunct faculty more agency and perhaps eventually, more academic freedom. Community colleges also need to do a better job of fostering greater interaction between learners and educators, and between the instructors themselves. Since colleges don’t provide enough private campus spaces for student-instructor conversations, how about creating private virtual spaces? Under the current professional, and even technological, structure of community colleges, adjuncts also have limited opportunities to connect and interact with colleagues. Since contingent faculty are not rooted on any one campus, they need an on-demand digital space in which they can share best practices with peers and colleagues, and social media isn’t going to cut it. They need adjunct-managed, adjunct-centered peer communities. If an institution provides the flexible technology that can handle these suggested solutions, along with support from campus administrators, colleges can achieve a high ROE: return on education. What does high ROE look like? For starters, increased student engagement and success; improved efficiency of instructors and instruction; lower turnover rates among contingent faculty. All of which drive down costs for institutions. Maria Maisto, English instructor at Cuyahoga Community College, member of the MLA Committee on Academic Freedom and Professional Rights and Responsibilities, and president of the New Faculty Majority, which advocates on behalf of contingent faculty, has said that “authentic learning cannot take place in isolation.” Teachers and students who participate in that learning must belong to a community. When they don’t belong to a community, they end up like our lonely drivers at the beginning of our story, on opposite sides of that empty, sprawling parking lot: struggling to work in the in-between hours they have, with too little time, and no one to reach out to in a pinch. Developing education technology that truly serves the everyday needs of college educators and learners is not an easy task. It’s actually an incredibly humbling undertaking, and you need to be prepared for failure before you can achieve any modicum of success. And the metrics for success? Nudging the needle, to any degree, on any of the many challenges facing learners and educators in the trenches of higher education: college readiness, student debt, unaffordable course materials, poor student engagement, insufficient faculty-student interaction, recognition of competencies gained outside of formal education pathways, development of collaboration and other soft skills, coping with walled technology gardens, need to improve adjunct working conditions…and more. Open Assembly is a team of social entrepreneurs and educators on a mission to provide instructors and students with user-friendly, personal technology tools made for learning and teaching—in an integrated interface or “toolset,” and at a price point all can afford. These tools are designed to help educators and learners nudge the needle on the challenges they face every day. Must-have tools for learning and teaching include those that facilitate collaboration in various forms, those that support formation of user-driven learning communities, those that enable portable content and data management from one environment to another, and those that permit both students and instructors to engage in content curation. In the realm of content, Open Assembly prioritizes open educational resources (OER), and not only because they are free to access online. OER are inherently shareable based on the terms of Creative Commons licensing. At the bleeding edge of openness, the CC BY license can inspire new, open pedagogies by leveraging the remixing and sharing potential of OER for co-creation—via collaboration, connection, and interaction. Between educators. Between learners. Between educators and learners. 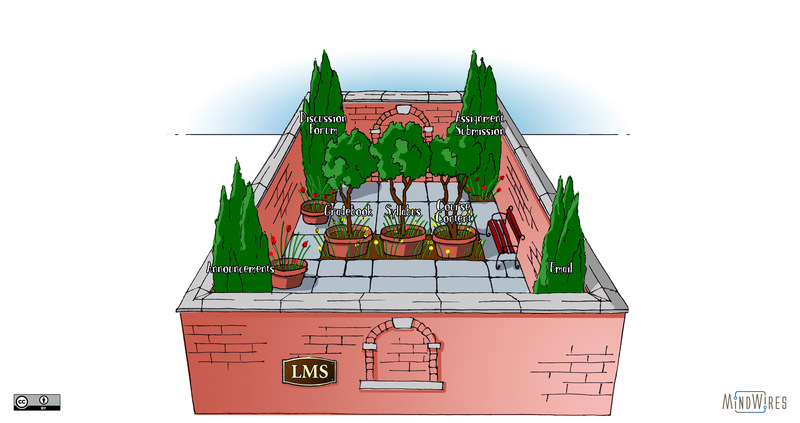 Paradoxically, most OER used in the classroom, which at its best is free to Retain, Reuse, Remix, Revise and Redistribute, is typically deployed in an LMS (a walled garden). There’s a conflict between the openness of OER and the closed, by-invitation-only nature of the LMS. Phil Hill has eloquently described this problem in recent blog posts. Open Assembly has built an extension to the LMS that effectively bridges the walled garden and the Web. This allows OER to operate at its greatest potential, deployed in a secure technology framework that supports flexible, open learning. A win-win for institutions, instructors, and students. OER can also make a significant contribution to reducing costs, and yet between two-thirds and three-quarters of all faculty nationwide report that they are unaware of OER, such as open courseware (e.g., MIT OCW) and open textbooks. Educators familiar with OER find them difficult to adapt. We believe OER need to become modularized in order to make reuse and adaptation easy enough for many more educators to adopt and make their own. You can Browse OER on our site to see what this looks like. In an age where data privacy and IP ownership are issues of increasing relevance for individuals (whether or not they think about it), Open Assembly insists that you own your data. We will not share it with any institution, organization, association, or governmental entity without your permission. It’s yours to retain or remove from our platform at any time. It’s also portable. We know that you create and manage content in more than one context, and Google Drive and Dropbox are OK but are not made for education. For instance, you can’t do more than keep content in folders, and you can’t share easily with others via multiple channels, including social media. The LMS has limitations, too. Content gets trapped in course shells that expire. Instructors have to recreate the same course in more than one LMS, and students lose their work if they forget to remove it before the end of the semester. Moreover, we’re all learning everywhere, in settings both formal and informal. At home, at work, at school, on the go. With Open Assembly you can integrate your learning across all of these contexts. This way you remain at the center of your lifelong learning path. Our goal is for Open Assembly to become a truly “convivial toolset” that enables educators and learners to remain in control of their privacy, their networks, and their learning. As Audrey Watters points out in a recent talk, “We all need to own our learning.” Technology in and of itself is not the answer, but can perhaps help us all move toward a culture of openness in education—the only sustainable future we at Open Assembly can imagine. We soft-released Open Assembly v2.0 earlier this fall, and as of Dec. 1 we’re officially in public Beta. The free trial ends Jan. 31, 2015, just in time to breeze through spring semester with our portable toolset for learning and teaching. We are very grateful to all of our early adopters and advisors for believing in us and for helping us shape and develop the platform. A special thanks to the Education Design Studio and our colleagues in the 2014 cohort for giving us the tools, mentorship and support to transition from dreamers into increasingly effective entrepreneurs. Valuable insights for learners, instructors, institutions about how OER is being used. It gives me great pleasure to announce that OER Research Hub is now ready to release the first of its dissemination reports. The ‘OER Evidence Report 2013-2014’ brings together a range of evidence around the research hypotheses of the product and provides an overview of the impact OER is having on a range of teaching and learning practices. If you’re lucky enough to be at Open Education 2014 this week then the research team will be presenting some of the results in person on 20th November at 10.15am in the Virginia Ballroom. But if you can’t make that and you want to discuss the report then just come find us at the conference, comment below, or get in touch online. As John Rindele pointed out in his presentation at Open Education 11, “a key factor in OER uptake is the ability of resources to be easily accessed, combined with other course materials, and presented in an appropriate context for learning.” For many instructors (for better or worse), the LMS is currently the hub of their course. And yet using OER within an LMS presents some interesting paradoxes and dilemmas given that LMS are still operating within the “closed course” paradigm. Of greatest significance is the near-impossibility of realizing OER’s full potential to enable open pedagogies. Most online instruction takes places within a learning management system (LMS) such as Blackboard, Moodle, Desire2Learn, Sakai and others. Yet little research has examined how learning management systems structure participants’ experiences and replicate or diverge from traditional pedagogy. The ways in which course materials are presented and accessed — and who gets to present what and when — form a key component in the online classroom. The technology used to deliver an online class influences how students and instructors interact with one another. More than previous technologies, online learning systems have the potential to enhance the collaborative performative nature of teaching, and at the same time, the potential to turn teaching into a static exercise. Just as the architectural design of a classroom qualifies student–instructor and student–student interaction, online course delivery platforms such as LMS provide the framework for class communication. And like the room seating arrangement, degree of access to (natural) daylight and other aspects of the bricks-and-mortar classroom context, the LMS structure largely goes unnoticed and unquestioned. Yet how a classroom is organized, whether in person or online, will influence how communicators interact within that classroom. To extend the reach of OER we feel it is critical for resources to be made easily accessible from within the LMS, until we have a better way. This need is greater than providing a simple link. For all kinds of learners, summer offers an extended stretch of time to discover new ideas and skills on an informal basis. With the fall semester approaching, this got Open Assembly intern Elise Melconian thinking about informal education within more conventional and formal contexts. As easily as typing a question into Google’s search bar, Internet users are able to become their own instructors. The Internet has amplified the pedagogical influence of technology and revolutionized the way society has traditionally perceived learning. 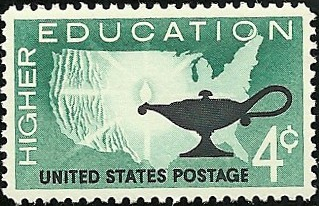 The not-for-profit infed.org explains how informal personalized education develops from conversations with others and the spontaneous connection of people and ideas. It’s often difficult to predict where informal learning will lead once such a conversation inspires an educational pursuit. John Dewey explains how “the business of education might be defined as an emancipation and enlargement of experience,” and it’s through our growing life experience that we find questions we have the power to pursue. Rather than some curriculum or plan, thoughts, exchanges, or the discovery of new information and questions connect learning to emotions and to what sparks our own interest, rather than what someone else considers significant. Although the lack of set curricula could leave holes in a student’s education, I’ve found in my own education, learning without emotional attachment is quickly forgotten. Fortunately, what’s fantastic in education is that there’s no incorrect way to learn. We can use technology and blend informal and institutional learning styles for an experience that’s inherently more effective than previous generations of students limited to textbook learning. With the emergence of the CC license and OER, students have the opportunity to engage more deeply in their learning, stimulated by their own conversations and experiences, to become curators of their own content. Institutions and instructors can and should mix informal learning into the curriculum to further engage students in all aspects of the learning process. For more thoughts on informal learning, read “What is Informal Education?” on infed.org. The University of Greenland and its institute for educational sciences, Inerisaavik, have been leading a project to make information communication and technology (ICT) standard in European schools. The project, Open Discovery Space (ODS), aims to reinvent the educational ecosystem and provide teachers with better tech access in this digital age. 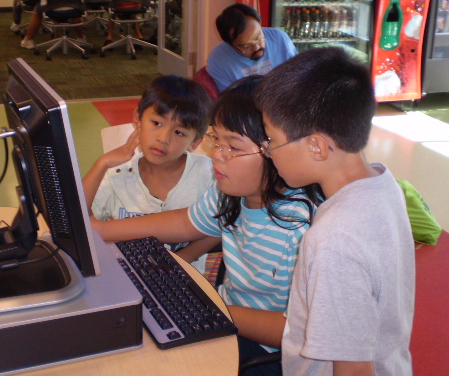 When it comes to integrating open educational resources into curricula, schools throughout the West can face similar challenges, among them technology-infrastructure restraints, resistance to change at the classroom or institutional level, and limited digital literacy among students. A country such as Greenland must overcome a few even-greater barriers to digitizing education. The ODS Workshop found that some factors keeping Greenland’s teachers and administrators from adopting OER are similar to those of other European countries: not-invented-here syndrome, lack of OER awareness, and lack of knowledge about the intricacies of intellectual property rights, copyright, and licenses. Other problems are culturally and logistically unique to Greenland. 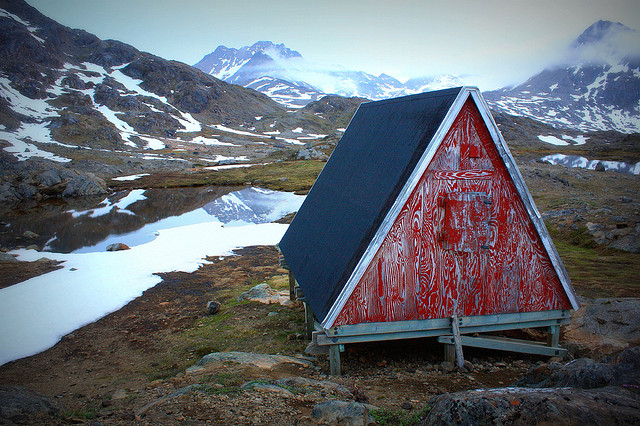 Broadband access in the country is still very expensive in more isolated settlements, and translating OER to Greenlandic is a must because of how many monolingual teachers and parents live there. ODS is working to engage the country’s education stakeholders on how to improve digital tools, solutions, and services for young people, increasing their employment options while also tackling the challenges of digital and socio-economic exclusion. What’s working in Greenland’s favor is that the country’s ICT and educational policies are very favorable for OER integration. Several national efforts have been launched in Greenland to facilitate OER implementation, such as the use of learning management systems and the creation of mobile-learning projects. Schools continue to discover how OER can provide high-quality education for diverse groups of learners. However, OER advocates must help institutions localize these resources, presenting them in native languages and incorporating learning activities that mesh with the cultural attributes of communities and the individual students living and learning within them. Read the complete article on Open Education Working Group. Textbook Bang for the Buck: Print, Digital, or Open? With the fall semester upon us, students are already asking themselves which textbook option will best serve their learning needs and their wallets: is it print, digital, or open? Because when it comes to shopping for course materials, students hold conflicting views about whether digital or print will give them more bang for their buck. That’s according to a fall 2013 study by the National Association of College Stores (NACS), which surveyed 20,000 students on 20 college campuses about their textbook-buying habits. On the 20 Million Minds blog, Phil Hill sums up the most surprising findings from the NACS report: A majority of students reported that, in the long run, their most affordable option was “to buy the print textbook and then resell it at the end of the term.” Yet about 20 percent of students surveyed had rented or purchased a digital textbook because they thought digital was less expensive than print. Edtech watcher Dean Florez has been calling out textbook publishers for their print offerings that can cost students more than $1,000 each semester. The industry’s digital options also have left Florez pretty unimpressed; Amazon.com’s Textbook Store, he writes, is charging for print versions of free, open-access texts and not providing much of a discount on the Kindle versions of popular texts, even the used copies. Thanks to legislation that passed in 2012, college students in California now have access to very affordable textbooks via the California Open Online Library for Education (COOL4Ed). The state agreed to fund 50 open-source digital textbooks, targeted to lower-division courses in subjects including math, business, and art history. Students can download these books for free or pay $20 for hard copies. Moreover, all of these new open textbooks are required to carry a Creative Commons license—which allows faculty at universities in other states to use these textbooks with their own students. The COOL4Ed collection also features free and open-access journals and open course materials (case studies, quizzes, and more). The California Open Educational Resources Council, comprised of representatives from the state’s three college systems (community colleges, the Cal State University, and the UC), has already established the next round of peer-review panels for open textbooks, with more to come this fall. Earlier this month Congress made its first moves in rewriting the Higher Education Act, including the House of Representatives’ passing a bill that would create greater federal support for and investigation of competency-based education. We love the idea of students working at their own speed and taking advantage of consumer and educational technology to plot their individual learning paths, especially if such personalized learning can help save money on tuition and textbooks over time. Some have said that competency-based education could work particularly well for older and part-time students who may not be able to spend as many hours in lectures or classroom discussions as full-time students. Yet competency-based education has inspired criticism because of a perception that it could lower academic standards or turn colleges into diploma mills. How would schools assess student mastery in, say, the tough-to-quantify humanities fields? How do you determine competency in degree programs that don’t train students for an explicit career path, such as nursing or IT? There’s also the challenge of ensuring that individualized learning will allow for developing skills that today’s employers—large and small, corporate and non-profit, startup and legacy—expect from graduates, including collaboration, writing and communication across multiple formats, and content and media literacy. The House has approved two other bipartisan bills that would mandate financial counseling for federal student-loan borrowers and simplify how the government provides college information to prospective students. The three bills passed so far highlight the difference between the way House Republicans and Senate Democrats have approached revising the Higher Education Act: bit-by-bit changes versus comprehensive reform. It’s unlikely that Congress will reauthorize the HEA before it expires at the end of this year. The emphasis is mine and used to point out alignment with Coursera’s mission: “We envision a future where everyone has access to a world-class education. We aim to empower people with education that will improve their lives, the lives of their families, and the communities they live in.” i.e., accessible and effective. 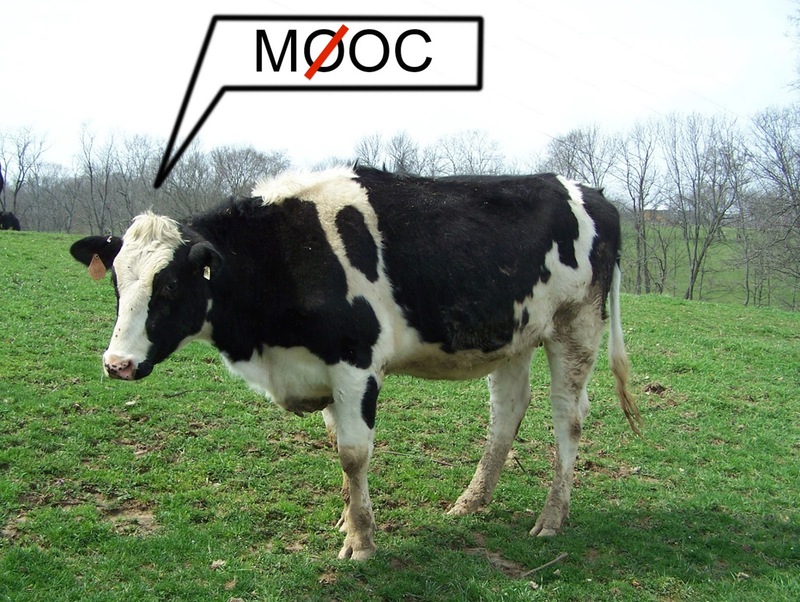 Meanwhile, back to the MOOC that ran amok. The professor’s intention was to see if he could get students to migrate to a non-Coursera platform and spur a discussion of the hazards of data-mining in free online courses. Unfortunately, he was not “open” with his students and therefore, many reacted with anger instead of engaging in reflection about the fact that their behavior and emotions in the course’s online forum were being tracked by Coursera, without their consent and for the benefit of Coursera. “The professor (or someone posting in his name) wrote about how he did not want to assist the company in its efforts to collect and monetize student data. He said he had been contacted repeatedly by the company about the data. Paul-Olivier – thanks. Let’s have more of this. Here at Europeana, we talk about the Public Domain a lot. Do you? You know by now that we care about sharing the metadata and objects that you have carefully digitised. We have great ambition for how this data can be shared with and used by others, how it can be used in schools, in apps and to share memories with your loved ones. We also believe that where possible, the fewest restrictions should be put in place for those sharing and using your great, rich and colourful data. So what has this got to do with the Public Domain? Why do we talk about it every day in the office here in The Hague? Why should you be talking about it? Well, making cultural heritage available to everyone is our business. One of our fundamental principles is that works that are in the public domain before they are digitised, should remain in the public domain (i.e. free from copyright) once they are digitised. With 7,607,443 objects available via Europeana declared to be in the public domain, we think this is also really important to cultural heritage institutions and we want to share with you a few tips and tricks on how to apply the Public Domain Mark. What better way to do this than to pack all of this into one month, dedicated to the Public Domain? The re-use of (open) digital content is an essential part of the Digital Agenda for Europe. Several activities are already stimulating the re-use of cultural heritage in order to demonstrate the social and economic value of cultural content. With the publication of the Europeana metadata under the terms of the Creative Commons Public Domain Dedication (CC0) in September 2012, further development of innovative applications based on this metadata is now possible. Europeana Creative takes this a step further by facilitating re-use of the digital objects themselves. Europeana Creative is a new and exciting open data project and online portal providing access to more than 30 million digitized cultural heritage objects from Europe’s libraries, museums, archives and audiovisual collections. It aims to facilitate the creative re-use of digital cultural heritage content and associated metadata. The project was launched at the end of February 2013 at the Austrian National Library in Vienna and will run for 30 months. 26 partners from 14 European countries with diverse backgrounds are contributing to the project. These include content providing institutions with world famous collections, creative industry hubs and organizations, the tourism and education sectors, living labs, software developers and multimedia experts, as well as think tanks. Partners will be developing a number of pilot applications focused on design, tourism, education and social networks. Building on these pilots, a series of open innovation challenges will be launched with entrepreneurs from the creative industries to identify, incubate and spin off more viable projects into the commercial sector. Recent legislative plans to overhaul education came in two forms: jumbo and bite-sized. Senate Democrats presented a 785-pages-long bill to reauthorize the Higher Education Act, while a House committee, equal parts Republican and Democrat, offered 11 pages of targeted proposals for reform. When it comes to digital innovation in education—especially as it relates to Open Assembly’s mission with regard to open educational resources (OER)—here are the three sections worth checking out. 1) Section 795E recommends an innovations fund for minority-serving institutions to boost student success, in part, by assessing the needs of any given institution, then researching and prototyping educational innovations that can improve student outcomes. Those innovations can and should include OER and digital content. 2) Section 796D offers grants to states that are able to greatly increase access to higher education for and foster the success of low-income students by 2020—especially students facing such barriers to college as having no high school diploma and working more than 25 hours a week. To qualify, states have to present plans that, among other things, promote technology to increase personalized learning and student retention. This includes blended- and flipped-learning innovations. 3) Section 932 outlines ways to provide accessible learning tools to students with disabilities, though we believe that the recommended reforms must apply to all students. The proposal calls for efficiently developing and delivering these materials to post-secondary students with print disabilities, such as open textbooks and other digital resources. States would need to compete for public or private grants and contracts to implement these improvements. The House and Senate have their mark-up period in the weeks ahead, during which they’ll add amendments to their respective proposals before they leave for their August recess. Ever a hopeful bunch, Congress hopes to vote on the Higher Ed Act reauthorization before the mid-term election. ProQuest, a company representing 11 academic publishers, recently notified the Boston Library Consortium that the cost of short-term e-book loans would be raised, effective June 1. Each time a client checks out one of the e-books, libraries pay a portion of the title’s list price and after a certain number of loans the library automatically buys the title at full price. Oxford University Press has raised the cost of short-term loans across the board. A 28-day loan that once cost 30 percent of the title’s list price will now cost 70 percent. The press also doubled the price of seven- and 14-day loans, while one-day loans jumped from 15 percent of list price to 25 percent. Two months later, after the announced cost shift on short-term e-book loans, Ms. Stearns and John Unsworth, the Boston consortium’s president-elect, wrote a stern letter to The Chronicle accusing the commercial publishers of “price gouging.” The letter referenced continuing dissatisfaction with scientific-journal pricing. Publishers contend that the e-book-pricing model was still in beta, and that recent changes are simply a market correction. Publishers say that the model was intended as an alternative to Interlibrary Loan, but that it had instead became a way for students and professors to access low-circulation titles like scholarly monographs without libraries’ paying full freight for them. At issue is a short-term loan model for e-book purchasing that allows libraries to offer large catalogs but pay for only those books that are actually used—and not to pay full price until books have been used several times. These pricing increases should drive the effort for affordable, Open Access alternatives to traditional publishers, promoted by organizations like SPARC. Digital technologies and the Internet have made knowledge accessible to all, leaving us with the potential to take the power back from publishers and remove the restrictions to access caused by the high prices imposed on consumers. Read the original article by M. Scott Brauer for The Chronicle here. Catherine Cronin shares her experience teaching in a truly open learning space as the progressive “thinning of classroom walls”, making an effective case for open pedagogy. Comprehensive infographic about blended learning: trends, components, aspects. As in my last post concerning collaboration, I have been doing some research about Open Research. More about that in a moment. What am I researching? My goal is to extend the thesis I will be turning in for a grade this semester into an on-going research project that collects data about air quality on my school campus. The whole point of this project is to make more people aware of greenhouse emissions, something we cannot directly see, so it is a given that my results will be open access. The end goal is to create a website with the data, similar to what UC-Berkeley has done with BeACON. So, I have found out a few new things. What I will be doing with my project is called “open access data.” Meaning all of the data, and results models and graphs, will be available to anyone. The Scholarly Publishing and Academic Resources Coalition (SPARC) is a great example of efforts to create ways that data and research can be more available. Then what makes “open research” different than what I described above? The answer: collaboration. A project can be considered open research if the “end goal,” or the final output, is likely to change, since multiple research entities are adding input and thoughts to the overall research. Besides the availability of data and results, as in open access, the experimental methodologies and techniques are also available for your studying pleasure and are open to improvement. There are many websites that are trying to support this type of collaboration, and while Open Assembly is not specifically designed for research, it IS optimized for collaboration. As such, its tools can be adapted for any collaborative teaching or learning context. For example, with a research topic or project taking the place of an official college course and syllabus, the “Comments” feature allows other users to add notes, pertinent resources, and materials. My current project has a certain end goal, but if you’re interested in providing input or getting a closer look, be sure to email me at julie@openassembly.com to gain access to the course and experience how I am using Open Assembly for Open Research. From CNX 2014 in Houston via Beck Pitt of OER Research Hub comes Part I of the results from research conducted to determine the impact of Open Stax College textbooks on both educators and students. NB. The top 3 responses from students are in red. OER is not only the only sustainable path forward with regard to increasing the affordability of education, but is also key to providing instructors and students with content and courseware that they can actually adapt to their needs–and ultimately own. Looking forward to Part II, thanks Beck! I am behind on my reading, I admit, and only just got to Hack Education’s March 15 post “(How) Should Startups Compensate Schools and Teachers for their Feedback?”. I do indeed have some experience with this question, having prototyped Open Assembly v1.0 with adjunct instructors in community colleges last summer. Let me first say that having been an adjunct did not in any way make it easier for me to reach my former colleagues and interest them in our platform and what we’re up to in general. It’s a tough and lonely crowd. My very first prospect let me know that he considered testing, even so much as “glancing” at our interface, to be contributing to the IP of the company–for which he should be royally compensated and publicly recognized. Literally. For one crazy second, desperate for feedback and having no other prospects on the horizon that week, I actually considered giving him founder stock. Equity? That would have been a better deal for me than for him. Equity in a startup is fool’s gold to an instructor, whose horizon is only a semester long, one semester at a time. All of this is a tall order, and without the participation of and honest reviews from our prime end-user, the adjunct, there’s no way we can come even close to creating a platform or service that they want and will use–so that their students also will benefit. A choice between money or a seriously good piece of mobile hardware: yes, that’s what it took to get my “pilot adjuncts” on board. It makes sense. After all, I was asking them to spend time to set up courses and share their valuable observations in an extensive survey. 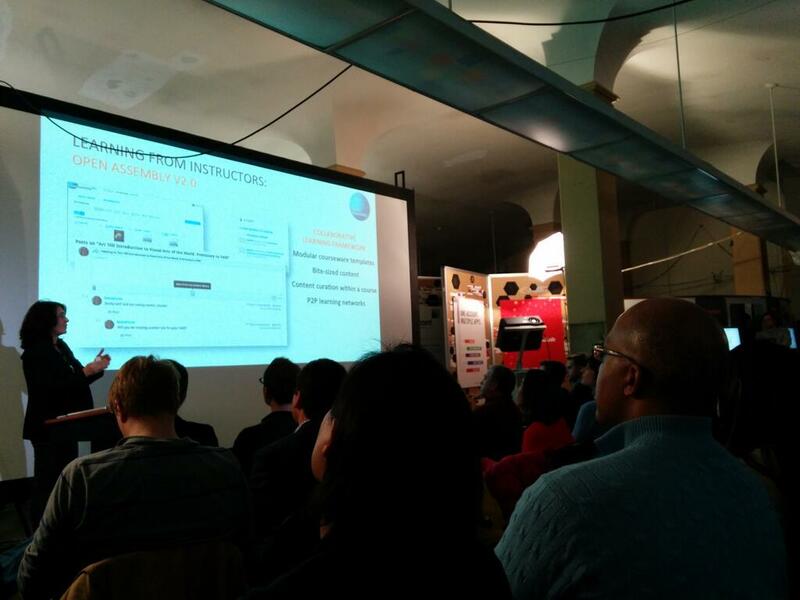 We offered a sum that was significant enough to attract interest, but not too big to break the (startup) bank. As a result, we received crucial, detailed feedback that helped us understand where we were on the right track, and where we were not. Without that feedback, we would not be where we are today: gearing up to publicly release our beta (Open Assembly v2.0, currently in soft release) that so far delights our early (adjunct) adopters. Adjuncts are the backbone of the college instructional corps, the majority teaching impacted introductory classes. Adjunct faculty now make up a majority of the higher education instructors nationwide, in a reversal from just a few decades ago. In some departments it’s 100%, according to a 2013 research study, yet part-time faculty members make about one-fourth what a full-time faculty member gets paid per course, as reported in another 2008 study. I truly feel that adjuncts are the unsung heroes of higher education, and very much underserved. Long-term subs in K-12 schools (7% nationwide) are treated and compensated far better, even receiving benefits. The build-measure-learn feedback loop with educators is crucial to successful product development, “successful” meaning a product that actually addresses the needs of instructors and learners. Unless you’re in edtech for the wrong reasons. So do the right thing: 1) invite adjuncts and other instructors into your development process, and 2) compensate them properly. In the same way, pay teachers and schools for their invaluable feedback. Open Research: OER Research Hub Course Launches June 2014! OER Research Hub is launching a course on Open Research in June 2014, hosted by the School of Open (available as a stand alone during the summer). OER Research Hub will at the same time be releasing the remainder of their research instruments (e.g. interview and survey question banks, consent forms, a final version of the ethics manual etc.). These instruments are/will be available on a CC-BY license via their website, and are of great value to researchers, instructors and admins seeking to understand, evaluate and chart the impact of OER. If you’re anything like me, the more tabs you have open on your computer screen, the more time you spend browsing the Internet. When I’m doing research, it only gets worse. As I’ve worked on my thesis, especially looking at preliminary materials, it has gotten to the point where I cannot see the complete titles of the tabs. Even worse is when I close a window or click another link and “lose” a link or document (because my screen is so crowded with tabs and open windows) and cannot find the web page that seemed to be exactly what I needed. Luckily I came to my senses and realized I was not using Open Assembly’s platform to its full potential. Instead of keeping a tab or document open if I like it, I try to immediately upload it to OA. Not only does this force me to quickly evaluate the link for description, use, and citation, it also enables me to go back and review all of the uploaded material in one place. Once I upload a tab and then close it, it can stay closed, since everything I put on the OA platform opens on the platform. And my screen can be a little tidier and less crowded. Another feature I’ve been using is the CrocoDoc on the PDFs. This is an HTML5 feature that can be embedded within a platform, such as Open Assembly, to enable comments and highlighting on the uploaded documents. A lot of the resources I am reading are downloaded from databases as PDFs. Since my work is on an environmental-oriented thesis, I would be a hypocrite if I wasted paper printing each piece of material that caught my interest. Instead, I have been highlighting and commenting on my uploaded documents using CrocoDoc on the OA platform. While it is not completely the same as physically highlighting and writing on a hard-copy printout, it comes fairly close. It will make actually writing quite a bit easier because of the organization it provides, at least compared to the messes of physical papers and bookmarked webpages; plus the added bonus, again, of not having an unmanageable number of documents open. I won’t lie and say that I don’t have a ridiculous amount of tabs open anymore, but my research organization just got easier. A movement and opportunities it creates in teaching and learning worldwide. Submit your contribution by February 28! There are many ways you can contribute to Open Education Week: upload an informational or inspirational video, host an event in your community, send links to resources about open education, hold a webinar, and promote open education week in your social media networks. To contribute a video or resource, or to have your event or webinar featured on the Open Education Week Events calendar, use the submission form at openeducationweek.org. Multiple resources or events can be submitted. Click here to fill out a form for your contribution. Deadline for submissions is 28 February 2014. College students around the country are using Twitter to protest high textbook costs, uniting under #textbookbroke to publicly air how much they’re paying for one of the hidden costs of higher education. Pictures posted with the hashtag show how students are dropping several hundred dollars each semester to pay for textbooks needed for their classes. Advocates plan on showing these tweets and pictures to university administrators and state legislators to demonstrate how much students are struggling with the costs. Open Assembly supports the adoption of #opentextbooks. For the convenience of educators and students alike, Open Assembly provides the ability to access Open Textbooks at the chapter-level. For instructors, we also provide editable versions. And yes, it’s free for open learning environments. For more info or to see how it works, Request an Invite. Open Assembly is proud and tickled pink to have been selected to compete as a semifinalist for a series of prizes in the Milken-Penn GSE Education Business Plan Competition (EBPC). Launched in 2010, it’s the first business plan competition to focus exclusively on educational ventures. The Milken Family Foundation and the University of Pennsylvania Graduate School of Education (GSE), entities committed to innovation and excellence in education, formed this partnership with the intent to nurture entrepreneurial activity in the education space. We’re competing in the categories of Innovation in Online Education and Open Educational Resources. Deadline to submit our biz plan is March 11, 11:59 pm. 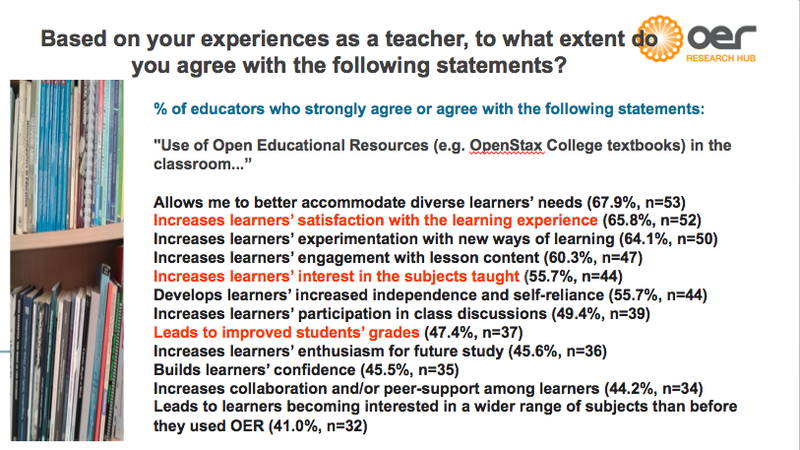 This comes from a report by Katrina Stevens from Educon 2.6 at the Science Leadership Academy on Jan. 28. Speaking on the panel “What Does it Mean to be Open?” David Wiley of Lumen Learning argued that the last 18 months’ focus on MOOCs has “sucked the air out of conversation around innovation in education.” Wiley acknowledged that MOOCs are interesting experiments, but also pointed out that they have crowded out other, equally important experimentation. Venture funding for MOOCs has driven public attention and “distracted people from the business of educating students to the business of selling to them.” Wiley further argued that this misalignment in incentives will continue to drive true innovation to the margins. Wiley also questioned how innovative MOOCs really are; he pointed out that in the 1960s, we thought that television “…will really open up education,” the same claim made about MOOCs now. Tone down all the claims around “innovation,” urged Wiley, and engage in more substantive conversation about the challenges of MOOCs and other new learning models. Otherwise, “we’re in danger of making bad education faster and more efficient,” Wiley warned. 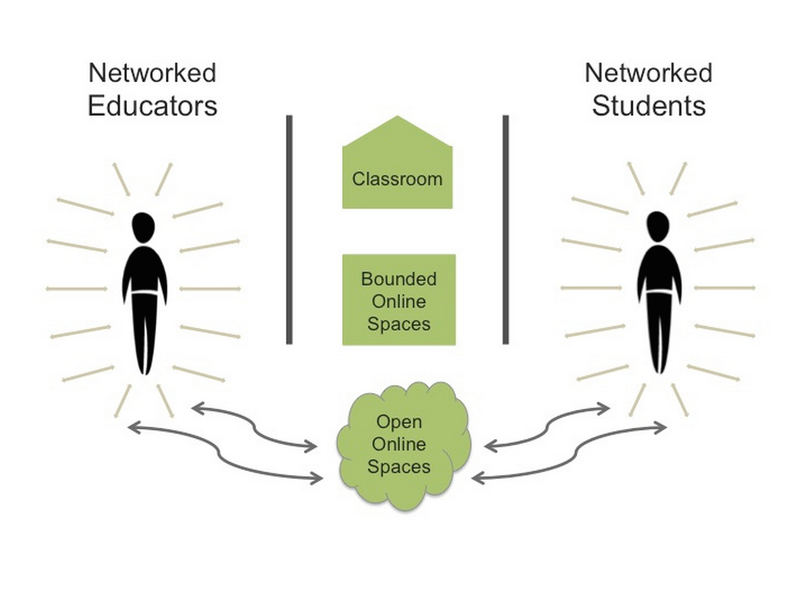 This is the second in a semester-long series taking an up-close look at the functionalities and potential of the latest release of Open Assembly’s platform for networked learning in open education environments. Open Assembly is a powerful framework for easily developing or remixing courseware, curating content, and managing research projects. Work on your own—or better yet, in teaching and learning networks you create by inviting others into your process. After a few weeks of discussion and honing, I’ve finally determined my thesis topic. There’s nothing like a deadline to help things along, and since research grant applications were due this past Sunday, I needed to bring all of my outlying and random thoughts into a more detailed and clear plan. I had a big talk with my advisor, which helped me put together the preliminary bibliography, research abstract, budget and explanation, and project description. And as a double major, I’m incorporating pertinent research that covers both of my majors, into my thesis. All of this work and topic-honing led me to the uploading experience on Open Assembly. Among the important items I uploaded were my materials for the research grant application, which I wanted to make accessible to share with anyone checking out the OA platform or my thesis. The form to upload documents was tedious to use, but I ended up appreciating the process. It forced me to be extremely organized and fairly detailed about the documents and files I was uploading. I like having all my materials in one place in the cloud, and the ability to organize, or not organize, my “course” or project is intuitive and easy. 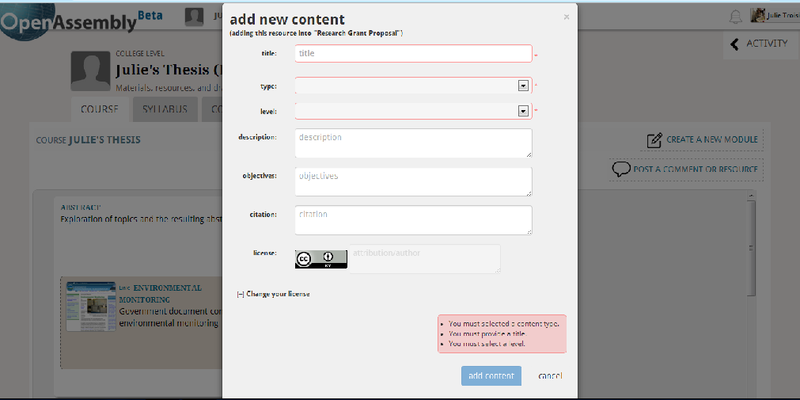 Modules do not all need to look the same, and I can nest another group of topics with the module. At the same time, I can upload files that do not have a specific location in a module or topic of the course. The versatility really fits me and the project. The one thing that was not as easy for me was determining copyright. I uploaded a few of my own materials as well as some resources that my teachers had sent from journals. Everything I have uploaded is set to Copyright, “All Rights Reserved,” because I’m not sure how many of the documents are under that type of licence versus a more open type, like Creative Commons. Since I would like for everyone who can to use what I have compiled to the greatest extent possible, I will be looking further into all of the different options concerning licenses of the materials I use and create. Look for a blog post about this soon. This is just the start, and there’s a long way of exploring and creating to come. Again, if you want to have a closer look to the journey, contact me at julie@openassembly.com. Feel free to leave any comments or questions below! What If a Community College or Technical School Degree Were Free? Tennessee’s governor has an amazingly brilliant idea: make two years of community college and technical school free for all students. He believes it’s the best way to build a more competitive work force in his state. Ticket price? The governor estimates $34 million a year for TN, paid for by diverting surplus revenue from the state lottery. That’s (10) 30-second ad spots for one Super Bowl, or the price of Sir Stirling Moss’s recently sold apple-green 1962 Ferrari 250 GTO, or two-and-a-half Air Force drones (MQ-9 Reaper)…..
A big thank you to the Varick Incubator for being our home for two years as we began our startup journey. We’ve now relocated to the Centre for Social Innovation, a buzzing social venture community. It’s an inspiring and beautiful space in the Starrett Lehigh building, and we already feel at home. Thanks for welcoming us with open arms. Upcoming news: release date for Open Assembly v2.0, with a new interface and social learning features. 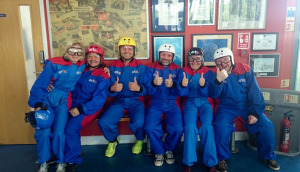 We’ve made sharing OER in the context of a course incredibly collaborative and social. Thanks to all our users for your input! “This is why I am a MOOC dissenter. More than a revolution, so far this movement reminds me of a different kind of disruption: colonialism. PDPhoto.org is a repository for free public domain photos. Most of these photos are free to use for any purpose. Help yourself! And pass it on! MOOC rival OERu puts accreditation on menu | News | Times Higher Education. Torbjorn Roe Isaksen, Norway’s minister of education and research, said MOOCs have the potential to “give people all over the world access to education.” But he said he knew of no MOOCs reaching into developing countries in South America and Africa. He said that data from companies that provide MOOCs show that most of those who enroll in the courses have already completed degrees and are looking to further their learning. MOOCs aren’t necessarily attracting people who have never had a formal education in the first place, he said. via International Reach of MOOCs Is Limited by Users’ Preferences – Wired Campus – The Chronicle of Higher Education.